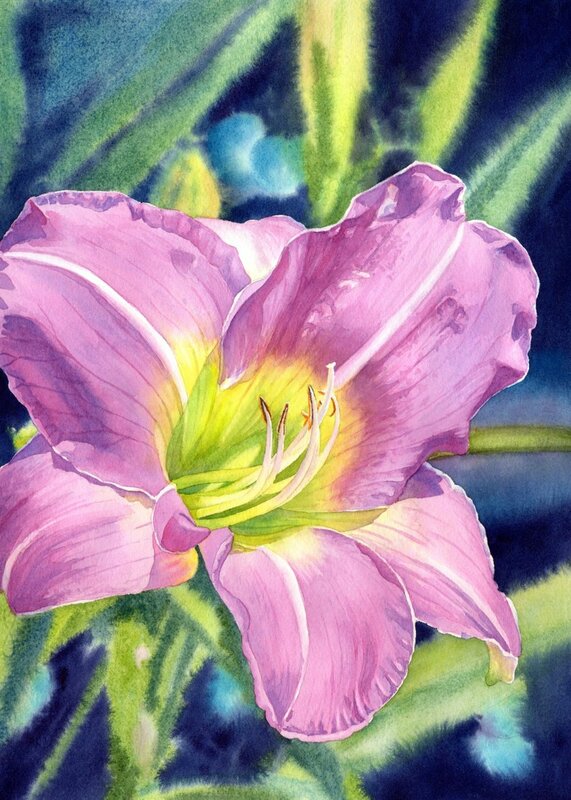 Story Behind This Painting: This beautiful Daylily was one growing in my yard. The yellow/green center was really glowing in the sunlight. I painted the background a little out of focus so that your attention was drawn to the flower.